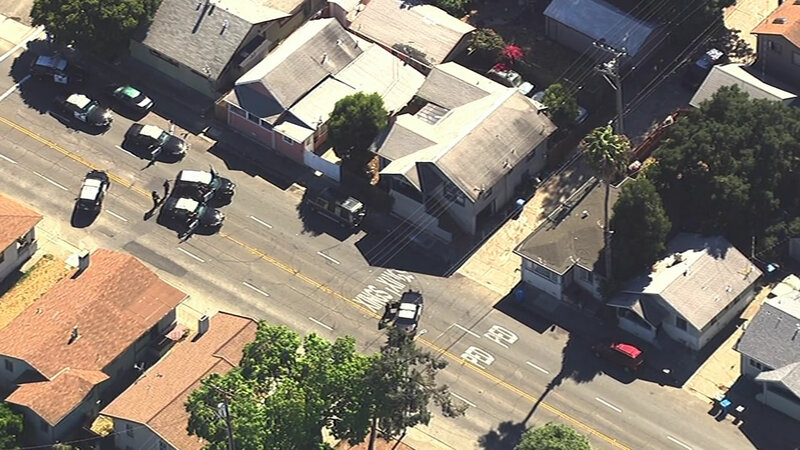 VALLEJO, Calif. -- Police are serving a search warrant at a "residence of interest" after a woman was shot and killed in a moving vehicle Tuesday afternoon in Vallejo, according to police. As of 8:45 p.m. the Vallejo Police Department had isolated a residence in the 100 block of Broadway Street and was in the process of serving a search warrant. The residence was apparently not occupied at the time, according to Vallejo Police Lt. Herman Robinson. Just before 3:35 p.m. the two were driving southbound on Broadway Street in the vicinity of Louisiana Street when they heard several gunshots. They kept driving for roughly 10 blocks before the male victim noticed that the female victim had been wounded. They pulled over and summoned aid near the corner of Alameda and Capitol streets, according to Robinson. The female victim, who has been identified only as a 26-year-old resident of Daly City, was transported to a hospital in Vallejo where she succumbed to her wounds, according to Robinson. The male victim was also taken to a hospital where he was treated and released for minor injuries, Robinson said. So far no witnesses have come forward, and the male victim told investigators that he did not see anyone shooting at the vehicle. A description of the suspect or suspects involved was not immediately available, Robinson said.